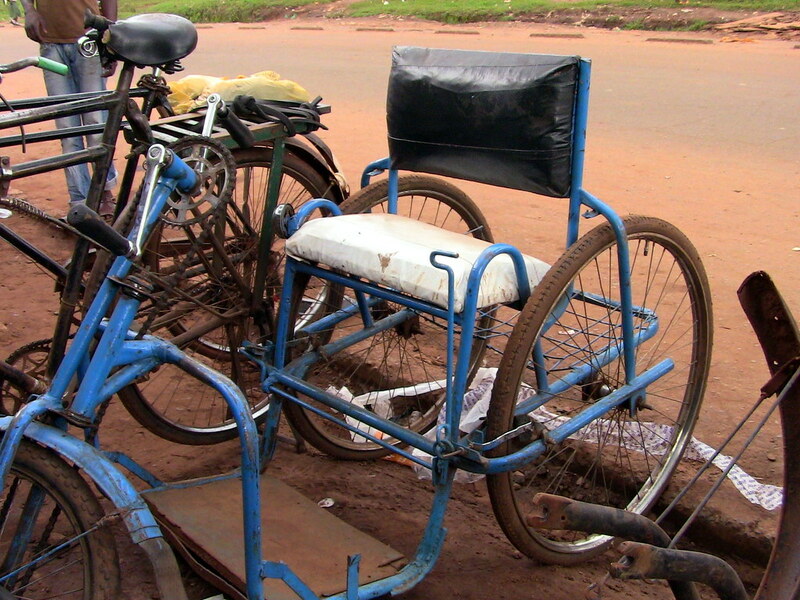 We have been receiving many inquiries for the use of the Milele Tube on bicycle wheelchairs. Our tube is perfect for wheelchairs and handcarts that use bicycle wheels and tires. Like the benefits on a bicycle, Milele Tubes installed on bicycle wheelchairs will eliminate all problems associated with punctures, such as being stranded and money spent on repair. For more information or to order Milele Tubes for your bicycle wheelchair, contact Baisikeli Ugunduzi at sales@baisikeliugunduzi.com. Organizations, wholesalers/distributers, and retailers welcome!